Woke to sunshine, lay in the tent for a while watching a deer about 10 feet from us munching the moss where one of us had pissed– they love the salt. Then we were up and could smell the barn– possible lunch in a restaurant, cold weather along with a good, downhill trail makes for some good miles. Saw amazing clouds above and below the mountains. Tried to take pictures but there is no way they will show these strange post-storm atmospheres. 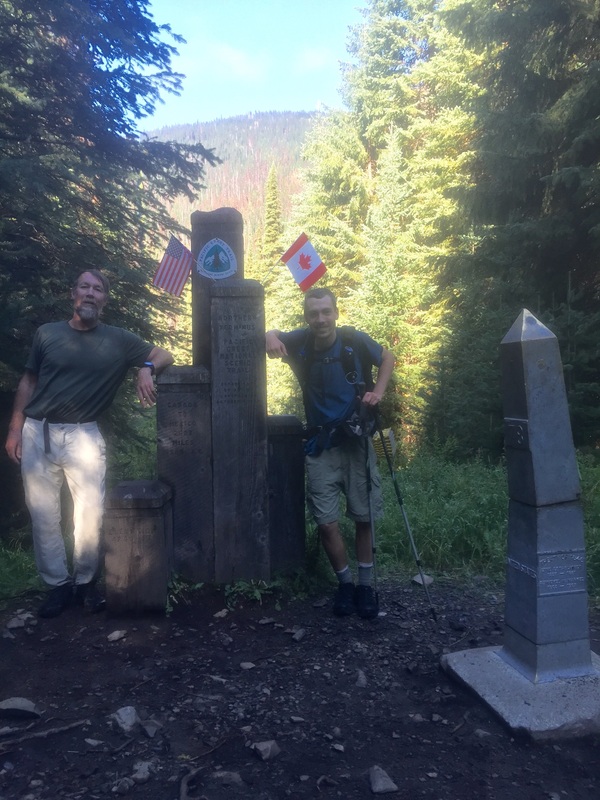 Hit the Canadian border (it really is a 30ft mowed strip lining the mountains) while the Millers and some others were celebrating the end of their PCT and writing in the logbook. Compared to Katadhin, it is a pretty lame end to a long hike. Crossing over into Canada marked an actual shift. The trail quality changed, sometimes amazing, sometimes very rough– a lot like the Appalachian Trail. A change in the canopy too, more spruce. The last 5 miles into Manning Pass were on a well graded dirt road with us clipping off 3+ mph. Then back in civilization– lunch, Bennett’s first legal beer, clean laundry, showers — all the neglected essentials. Ending in the hostel listening to quietly jubilant thru-hikers try to talk about what they were feeling. Of course there are no words.